THEY?? ?RE BACK! 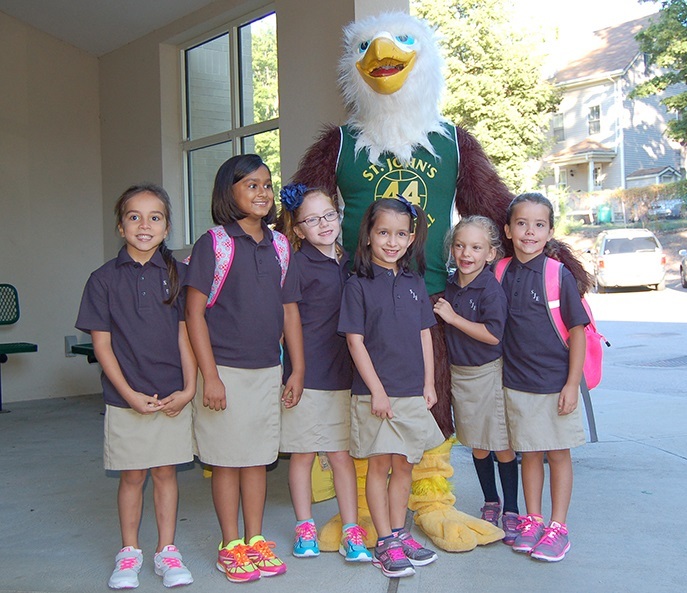 St. John the Evangelist School opened its doors for the upcoming school year on Tuesday, August 30. Along with Johnny the Eagle, happy to be back are Maya Greige, Maya Patel, Mackenzie Kern, Bella Parisi, Allie Peterson and Madeline Neary.